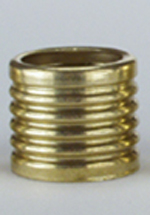 Winzeler Stamping Company offers ribbed brass ferrules for expansion couplings. 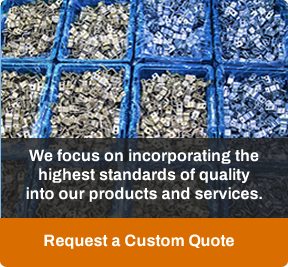 Our ribbed ferrules are precision drawn and manufactured from 260 or 268 brass and annealed for best results. The purpose of the rib ferrule is to provide a barrier for the hose to be compressed against allowing it to withstand the force provided by the expansion of the coupling’s tail. To determine the correct ribbed ferrule size, measure outside diameter of hose after coupling shank has been inserted.